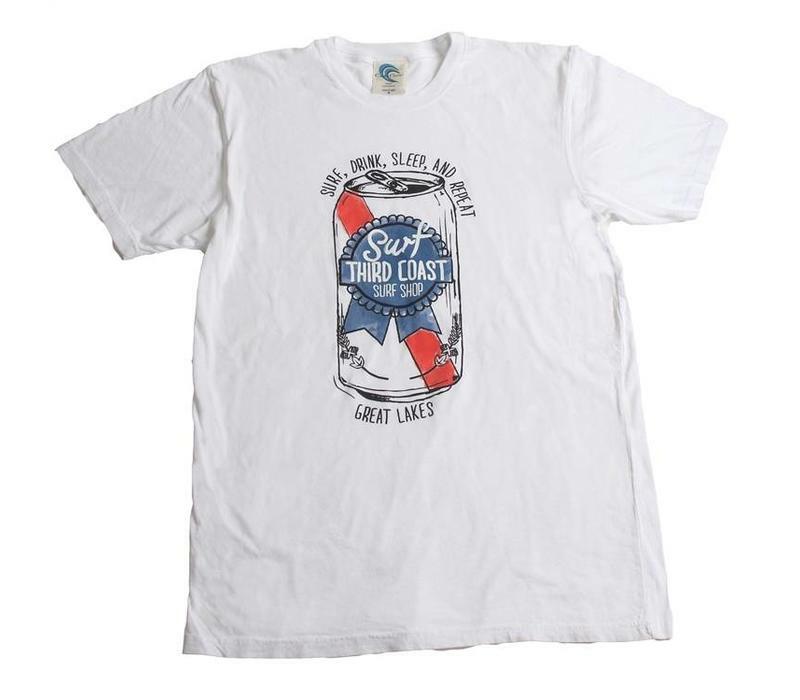 Surf, drink, sleep, repeat…Inspired by an iconic lager originally brewed in the Great Lakes, Third Coast Surf Shop’s exclusive “Party Time” tee evokes the feeling of cracking open a cold one after an epic surf session. Made of preshrunk, 100% cotton jersey, this classic crew features a ribbed collar with set-in sleeves and shoulder-to-shoulder taping. 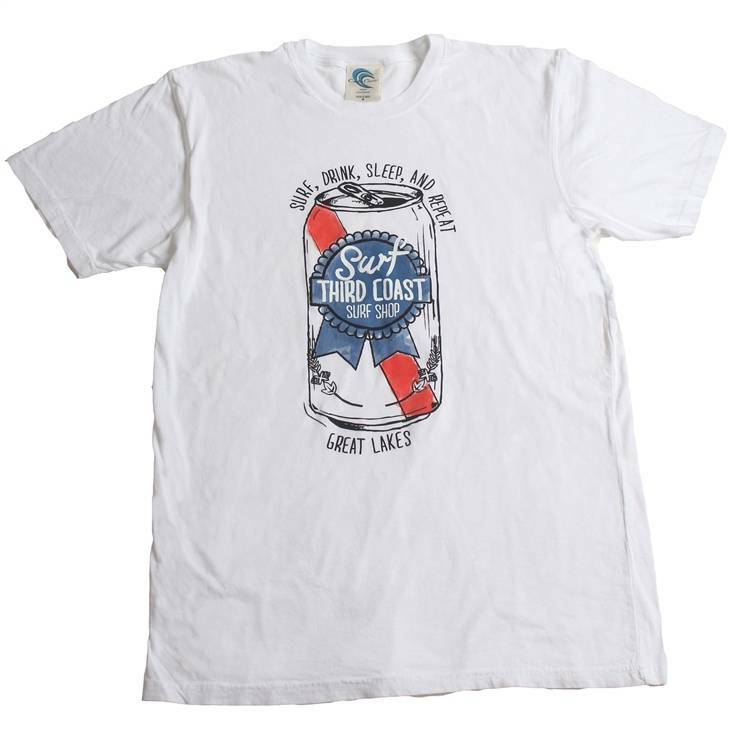 Sizing is true to traditional men’s sizes. Like this design? Put it on your car, your laptop, or anywhere else as a sticker!